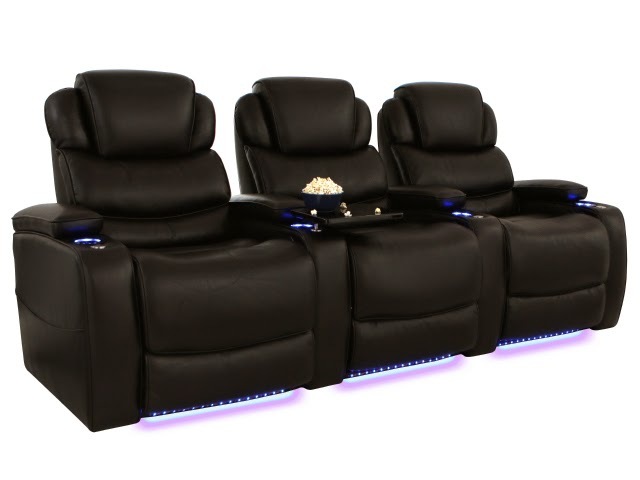 Home theater seats have come a long way in the past decade, taking in new innovations that have dramatically increased the range of options available for home entertainment. A seat is no longer just a seat: now it's an all-in-one package with hi-tech features that were unheard of until recently. Besides lighted cup holders and ambient base lighting, seats can now be equipped with power adjustable headrests, refreshment consoles that act like mini-bars, drop-down tables with overhead lighting, and more. 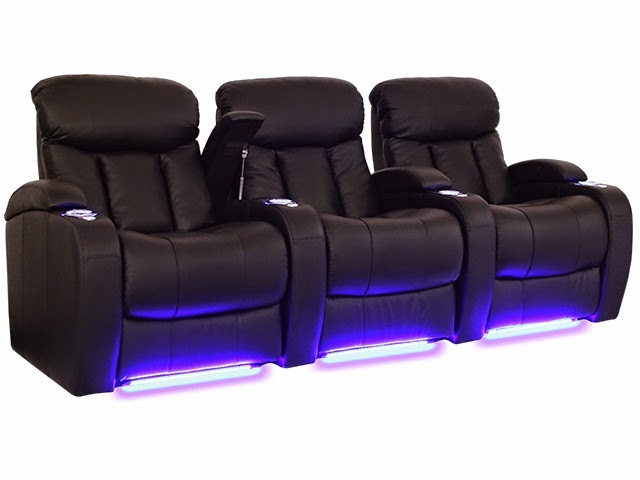 One of the most important new developments in home theater seating over the past few years has been the introduction of USB charging stations, usually situated next to the seat's power recline button. At the same spot where you can instantly change recline positions at will, is a place for the charging of cell phones, laptops, and tablets, which puts a virtually limitless range of entertainment options at your fingertips. With the power of the internet at your side, you can browse directly through your devices, or hook them up to your big screen. Netflix, Youtube, gaming sites--it's all at your fingertips, and with a USB port you don't even have to get up to re-charge any device; everything you need is located right by your side. The full list of seats on 4seating.com that offer USB power recline options can be found here. Among them, The Horizon is a theater seat which comes with the added benefit of a five-stage adjustable headrest, which helps to relieve neck and shoulder strain. The seat's clean, streamlined design features curved armrests with hidden cup holders, for an ultra-contemporary look that matches beautifully with its USB feature. The Grenada is a deluxe seat in the Seatcraft Signature line that comes in grade 7000 leather, which is handpicked from the top third of all hides for a lustrous sheen and superior texture. Bucket seating and a generously padded headrest exude comfort, while free tray tables provide a space for snacks, remotes, reading materials--or devices like cell phones and laptops, that can be charged in its convenient USB port! The Madera is a similarly luxurious seat, with its grade 7000 leather construction, tray tables, and USB power recline switch, and an elegant design that includes beautiful wood-inlayed armrests. The Columbia from Barcalounger is a USB power recline seat that boasts a layering of "cool gel" foam which helps to maintain the seat at a comfortable temperature, along with adjustable power headrests and included tray tables. This seat is constructed from leather gel, a new material that replicates the look, feel, and benefits of leather at an exceptional value. 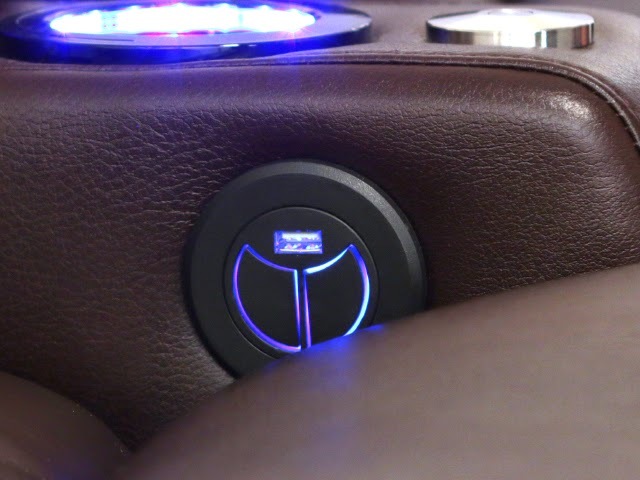 The Barcalounger Eclipse also comes in leather gel, with the included USB power recline switch. Barcalounger seats are renowned in the industry for their superior craftsmanship and state-of-the-art designs. 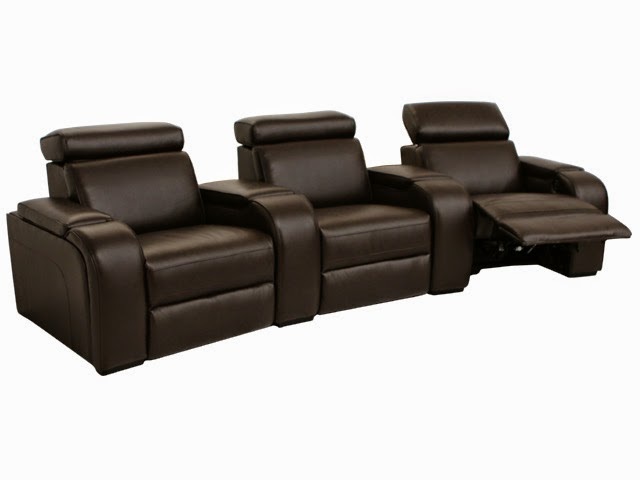 Taken collectively, these seats represent the future of home theater seating, where innovation, comfort and excellence combine to meet every conceivable home theater need.